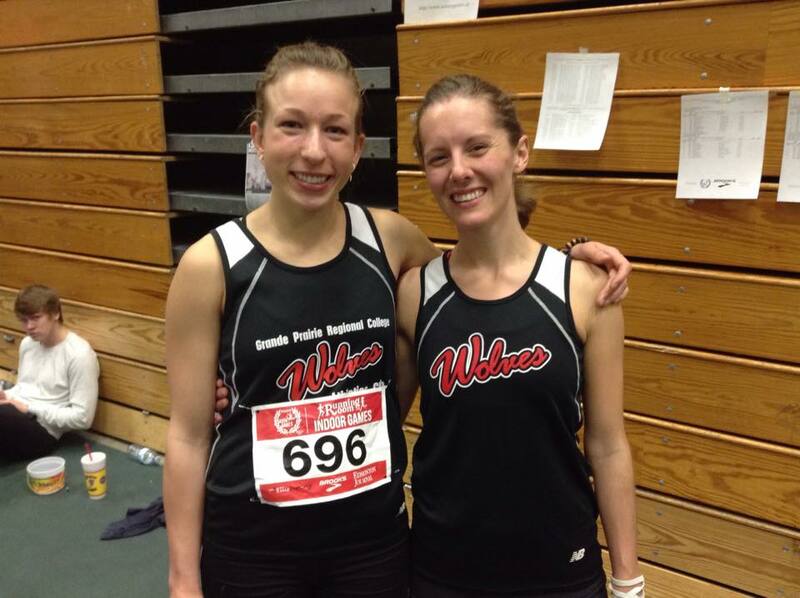 The 2015 indoor track season wrapped up this weekend, and WAC athletes and alums posted some notable performances. In Edmonton, Jamie Wigmore and Jackie Benning both established personal best times in the Isaak’s Eight at the Running Room Indoor Games in Edmonton. Wigmore established a new GPRC school record in the 800m, clocking a time of 2:15.13, good for third place in the invitational field. Benning clocked 2:22 and finished 6th. In Windsor, Ontario, former Wolves standout Fiona Benson, running for Trinity Western University, capped off a stellar university career with four podium finishes at the CIS Indoor Track and Field Championships. 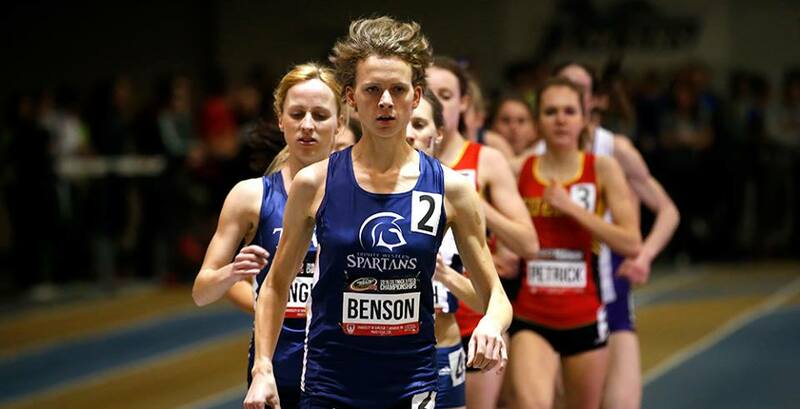 Benson struck gold in the 1500m (4:18) and silver in the 3000m (9:16), both personal best times. She also ran legs on Trinity Western’s bronze medal winning 4 x 400m and 4 x 800m teams. Another Wolves alum, Joren Manz, had a fourth place finish, running a leg on the University of Alberta’s 4 x 800m relay team. This entry was posted in Indoor Track and Field and tagged CIS indoor Track and field, Fiona Benson, GPRC Wolves, Grande Prairie AB, Joren Manz, Running Room Indoor Games, Trinity Western University, Univeristy of Alberta, Wolves Athletics Club. Bookmark the permalink.